Home Google Tricks How to HOW TO: Make Google Read Webpage articles. HOW TO: Make Google Read Webpage articles. Just in case you are tired of reading and you want some one to read out an article for you then here is all what you need to do. Take help from Google. Just follow below steps to make Google read a webpage for you. Visit the webpage you want to read article from. Simply copy the article you want Google to read. 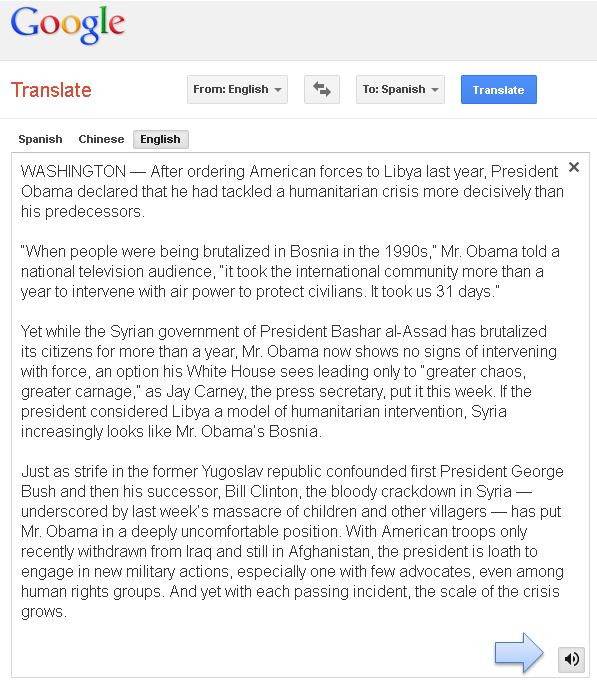 Just paste your article in the text box in Google Translate. You will get an option at the bottom with speakers. Just click on the speaker and Google will read content for you. The pace at which the text is read is also very comfortable to hear. Enjoy.